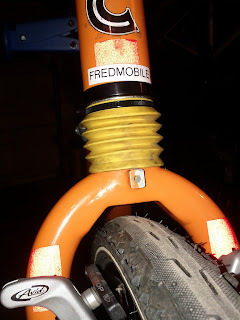 The Fredmobile is has arrived! Picked up my first true Cross Bike two weeks ago from a friend at work and basically got something that resembles the picture above but not entirely complete. 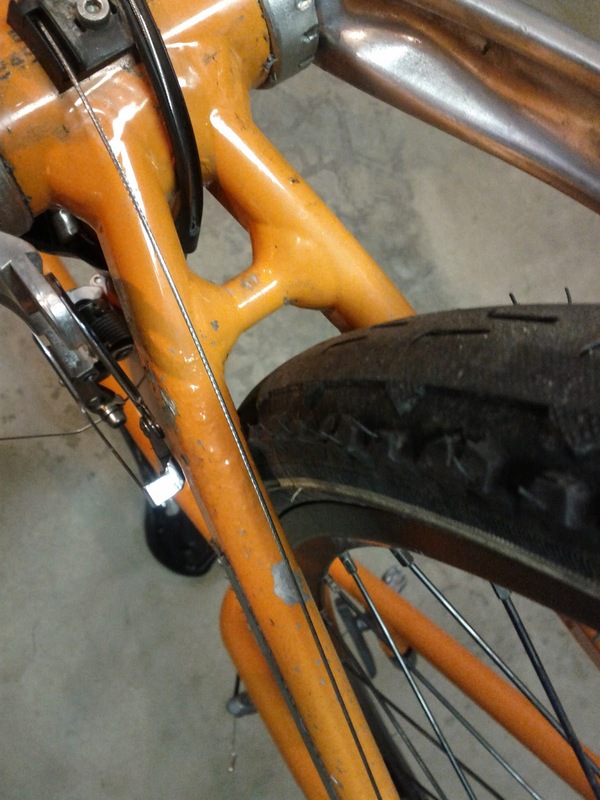 According to Bikepedia, this is a 60cm, 1999 Cannondale XS800 in Charger Orange. The funny thing is the 1999 version went to V-Brakes from the 1998 version with Canti's. Since I am not a big fan of V-Brakes I am going the Canti route. 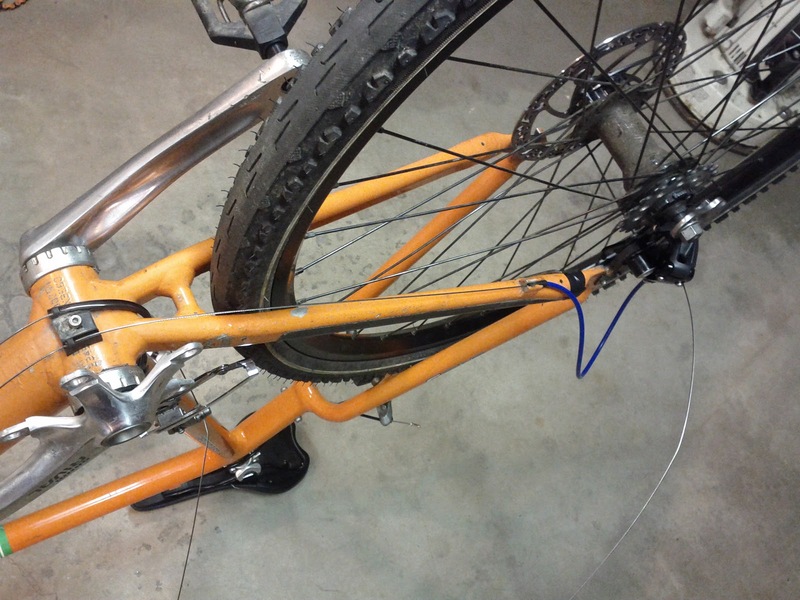 The first thing I had to is to see what the Monstercross potential would be for this bike and it doesn't look good. 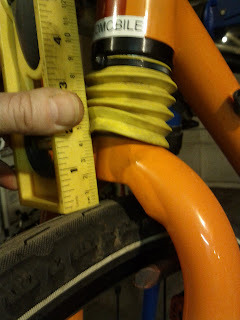 I threw the Qball's front wheel on sporting a 700x40c Kenda Kross and while it fit up front, I am not sure it would fit in the rear. The dream of running a 700x45 on this bike has been dashed but that wasn't the reason I wanted this bike. The real reason for getting this bike is the fact that it's the perfect bike for gravel grinders and rail trails. This is the kind of bike that I could ride at Trail of Tears and Willow Street on the Cape, or the Carriage Roads at Huntington State Park or even the singletrack at George C Waldo. As you can see in the shot below, the 40c won't fit. I wonder if 38c knobbies will fit? This should be good...looking forward to seeing the finished product. A happy stem makes all the difference! The Connecticut Effect: Get it done, Congress!